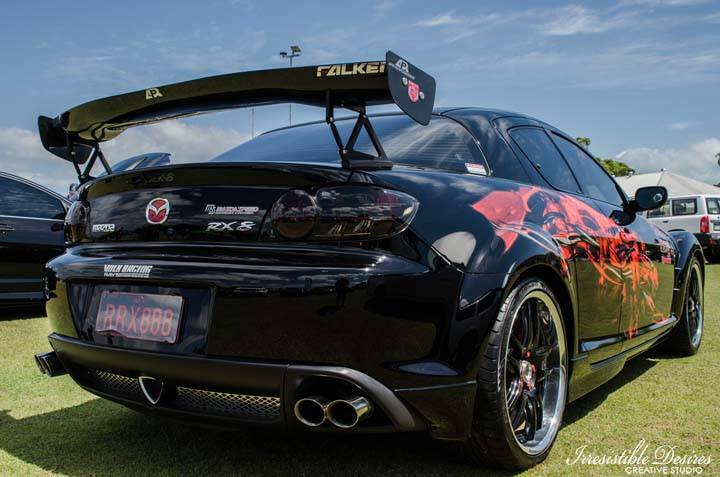 This beautifully presented MAZDA RX8 is the result of a 24 month project now completed. It is truly an extremely unique customised sports car so close to perfection, it has to be seen & heard to believe. 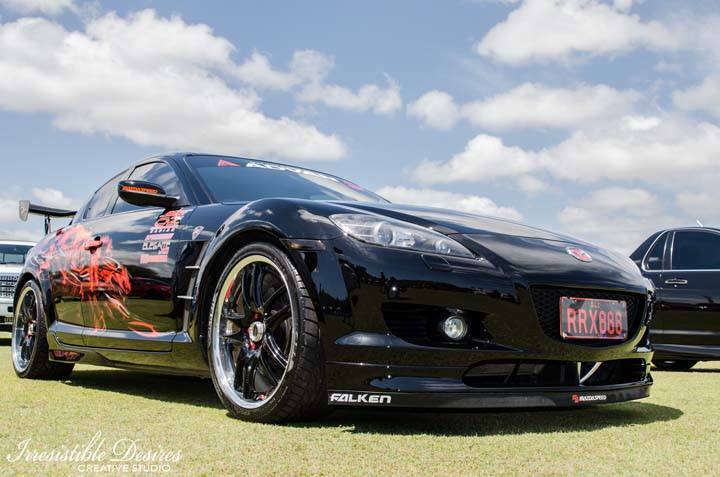 Featuring high performance Brakes, Suspension, Track styling, Cold intake & Exhaust. The 1.3L rotary engine packs a very satisfying power to weight ratio. Garaged for her entire life & very spoilt. REGO - Mar 2016 - 6-Speed Manual – 2 Door Quad Coupe. This car is showroom condition, as seen in several show & shine car shows in far Nth. QLD. • Carbon look Mazdaspeed Seat belt shoulder pads x 4….Ltd. Edition Carbon RED Badges. • Upholstery – additional RED & BLACK leather upgrades. • Upgraded sway bars with polyurethane fittings installed. • Full Sport Body Kit & excellent paint work. • LED – Super bright light upgrades to all internal lighting & reverse lights also head, driving, hi-beam & parking light upgrades. • Custom made Mazdaspeed floor mats, badged with red stitching. 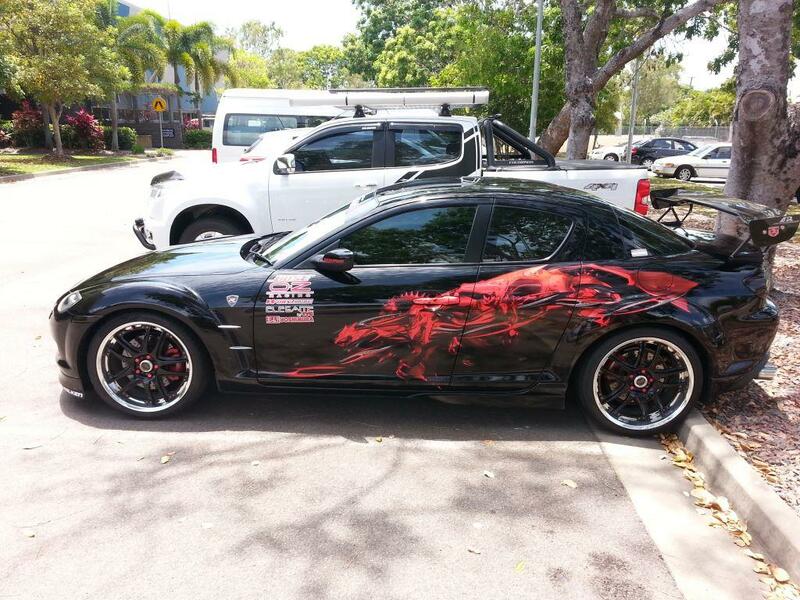 ***Khaleesi's Dragons - Game of Thrones theme custom side decal kit. The car is presented regularly as a "Show Car" in race trim with track themes. 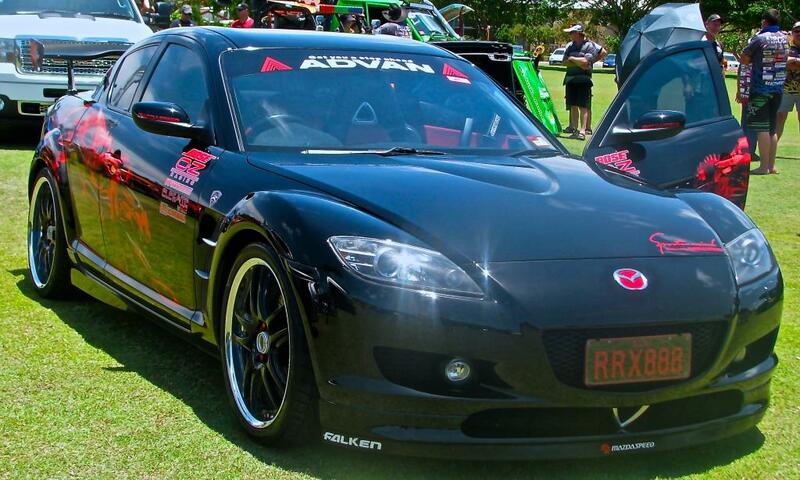 Very unique and arguably the best looking RX8 in the country. Only genuine car / rotary enthusiasts are recommended to apply. Test drives will require a deposit. The car will be driven by myself 1st then following a quick character assessment, potential buyers may be invited to have a drive with myself present.